Metro DC Lawn and Garden Blog: Seeds Bombs: For or Against? Seeds Bombs: For or Against? As a garden blogger, there are a couple of topics I tend to shy away from because opinions on both sides of the topic are so strong. Cats, for instance. Many gardeners love cats in the garden. Others feel just as strongly against them. Same thing with deer. And a third topic, and one that has been getting a little bit of “news play” lately, is seed bombs and guerilla gardening. Normally, I would stay away from this controversial topic, too. Except for the fact that I think that seed bombs can be harmful to the environment. Anyway, Frederick Maryland resident Brian Slagle has been in the newspaper and even on TV lately because of the seed bombs that he makes and sells online and at local stores. Apparently, they are a hot item for Christmas. But here is my concern with seed bombs. The whole point of seed bombs are to grow things on other people’s property. The online video on TBD.com even shows a picture of Slagle’s kids throwing the bombs onto a piece of property bearing a sign that says Private Property – No Dumping Allowed. WHAT IF THE PEOPLE WHO OWN THAT PROPERTY DON’T WANT THE PLANTS THERE AND USE CHEMICAL HERBICIDES TO KILL THEM? 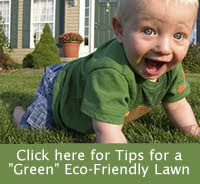 Even using a gas mower to mow the plants down puts pollutants into the air. And if the local government comes in to mow or clean up the property, who do you think pays for that? I do understand the principle behind taking over a vacant lot and planting vegetables or other plants, IF YOU TAKE responsibility for the care and maintenance of the plants. But seed bombs are something else all together. My suggestion for seed bombs is this: Plant native plants on your property to attract birds. They will eat the berries and seeds and create their own seed bombs when they poop them out across the city. And if you want to spread the joy and beauty of flowers, by giving seed bombs or other seed packets, encourage people to plant them in their own yard. If they want to know more about the joys or gardening for bees, butterflies or hummingbirds, I’ll be happy to tell them. Seed bombs strike me as very arrogant. Who is to say what ought to grow on someone else's land? I agree, in this world of entitlement people seem to think only of themselves and consequences never enter into the equation. When my husband and I were first married, bought out first home (and very poor) we used seed bombs to fill in some large, vacant beds that we couldn't fill. It was a great alternative for us at the time since we didn't have any money for landscaping and we really enjoyed discovering what plants grew ... but they were all on our property - not our neighbors. Hello in defense of my seed bombs and the abandoned lot that my daughters were throwing them into. Five years ago this lot was filled with dozens of century old pine trees. If you want to talk about arrogance and entitlement lets talk about the developers that came in looking for a quick buck and tore down a 150 year old structure and leveled all of the trees to build new McMansions. Well since they didn't see the bursting bubble on the horizon they were not prepared for this economic downturn and were forced to abandon the project as well as the lot. This is a lot that I grew up playing in when I was a child. So now this once amazing green space is just a run off area were mud trickles into the streets and through the gutters and eventually into our rivers and in our case bays. Seed bombs are like any other thing in nature you have to be aware and respectful of what you are doing for nature. This lot needed help and thats what we are giving it. Betsy I think it might do you good to take a trip back through those hippie days you speak of. By the way, No hard feelings. More discussion about things like this is what we all need. Hi Brian. I couldn't find an email address for you to reply to you directly. But I hope that you understand that we are both on the same mission - to beautiful the planet. Our tactics may be different, but I think we are on the same page. If you have read more of my blog, I think you realize that I believe that getting people up close and personal with nature is a good step at encouraging them to take care of the environment. I try to encourage change with my words. You do it with wildflowers. i am so thrilled and excited to hear about what mr. slagle and his amazing daughters are doing with these seed bombs. There are many things in this world i take issue with many things of a genuinely 'inconsiderate' and 'arrogant' nature. looking for reasons to pick apart a beautiful and , unfortunately in this increasingly artificial and human-centric planet, radical desire to give nature a fighting chance is a drag to hear. i think that many children have that pure moment of seeing with innocent eyes how much damage man has done to the earth with his progress for the sake of progress. mr. slagle, i love your daughters for taking that moment and creating with you an action of love for the planet we inhabit. the original hippy's used to have a mantra about not trusting anyone over thirty because they looked for reasons to tear down instead of build up. i strive to not be one of those over thirties. i find no arrogance, only true humility in acknowledging our connection to nature and beauty. thank you and your lovely girls for being brave enough to put beauty into this world. we need it now more than ever.